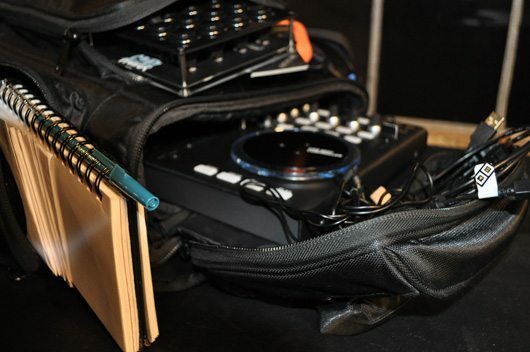 Nice article over at DJ Tech Tools reminding you about what should be in your gig bag. Some may seem obvious to you but I bet there is a thing or two in this article that may have grown to be overlooked in your time for you. I never get to a gig without a camera and video camera, and I take lots of pictures, even though I tend to do nothing with them. Good to know I have them I suppose. Here is their run down for a local gig. Posted on December 30, 2009 by DJ Real Juicy and filed under Stuff and tagged check list dj gig.